I suppose the most common interview question I’m going to get, and have already started getting, is: ‘Where have you been for the last two years?’ And rightly so, especially since I had been so prolific up to that point. 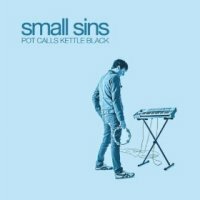 In the first two years of Small Sins, I recorded two albums, two EPs, did countless remixes, played in other people’s bands, and toured both Canada and the U.S. several times… Then nothing. There are several reasons for this ‘Dark Period.’ We had just been dropped from our first-ever major label deal and that felt bad. Music I made had been rejected for various films and advertisements, and that felt bad too. 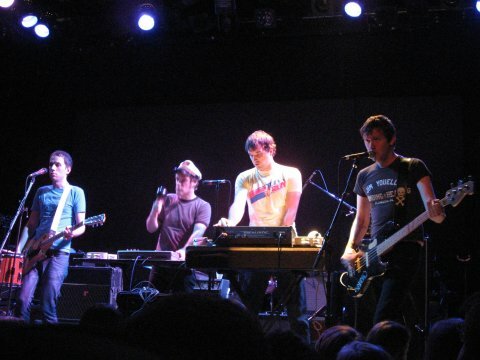 Various individuals in the band became busy with other projects, and the money wasn’t coming in to grease the wheels anymore. I didn’t stop recording, but I certainly slowed down. Even in this slow state, I actually made a whole new record, but something about it didn’t feel right, so I never released it. That’s one of the reasons it’s easy to give you all these exclusive ‘songs of the week.’ There’s an overflow of old material that was never released, but that I still think people should hear. As this quote indicates, Thom has been releasing an exclusive new track on his blog every week since August of 2010. I’m not sure when the series will come to an end, but you can stream everything released up to now at the Small Sins Soundcloud page. More Small Sins 2011 tour dates after the jump.